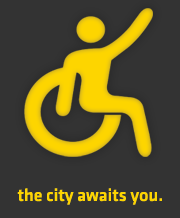 Dedicated Taxi Service For People Who Use Wheelchairs in Manhattan and Surrounding Areas Plus The Three Regional Airports. Accessible Travel and Health Information Center! AccessTravelCenter.com has the World’s Best Single Source of Valuable Travel and Health Information for people with special needs. This site has over 30,000 time and money saving resources.